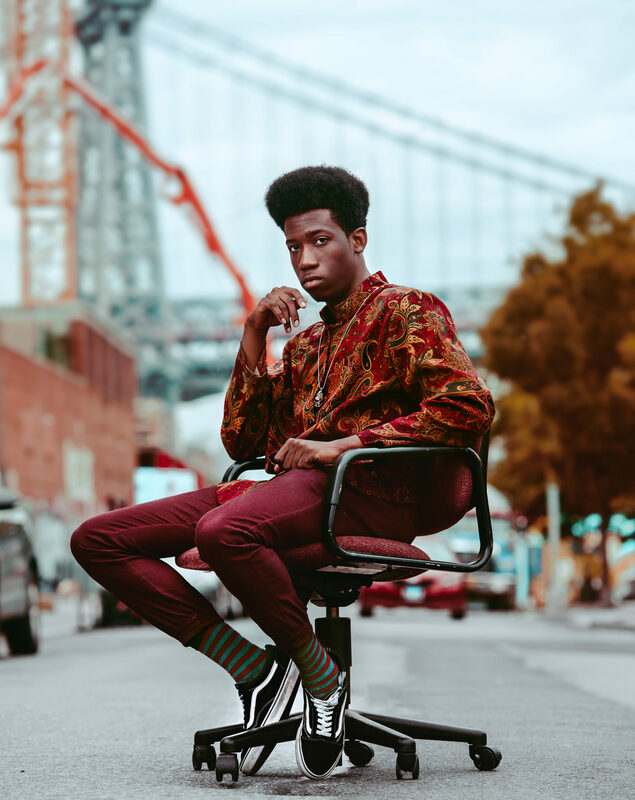 Rising lyricist Akinyemi [ah-kin-yeh-me] has grabbed the attention of audiences with his unapologetically honest take on the struggles and beauty of the human condition, mixed with the drive to create and experience something new. The Nigerian 23-year-old, who hails from Queens, has a name that means ‘fated to be a warrior’ in Yoruba. Akinyemi embodies that inner warrior in his music. Although his sound mirrors hip-hop legends such as A Tribe Called Quest as well as newer artists like Mick Jenkins and Anderson Paak, he creates original and experimental melodies that include sounds and samples considered foreign in hip-hop. Akinyemi recently opened for known acts Berhana, Sylvan LaCue, Heems, G4SHI, Chester Watson, Mal Devisa, and many others. His debut EP, summers, has received global recognition; it’s even in rotation at Adidas flagship stores worldwide. Akinyemi has been featured in The Village Voice, Mass Appeal, and Huffington Post’s “BARS” (which amassed over a million views via Facebook), and many others. Akinyemi also has also dabbled in modeling, including for Spike Lee’s clothing line, Defend Brooklyn, and for Steve Harvey, among others.